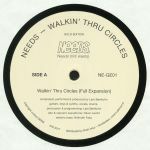 Review: Second time around for Walkin' Through Circles, one of the standout tracks from early noughties German deep house crew Needs. For this reissue, the Frankfurt-based collective, whose members included current Neroli regular Lars Bartkuhn, has given both mixes the re-master treatment. Whether needed or not, the A-side "Full Expansion Mix" - a musically rich fusion of tactile deep house and spiraling, head-in-the-clouds spiritual jazz flourishes - has never sounded better. 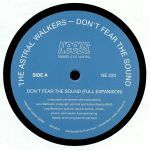 The same could be said of the dreamier, warmer and chunkier "Thump Mix", which subtly doffs a cap towards techno-soul and electronic jazz whilst remaining firmly focused on peak-time deep house dancefloors.